Confirmation came this week that there will be some Led Zeppelin ‘releases and events’ later this year for the band’s 50th anniversary. This promise was made when the reissue of How The West Was Won was announced. 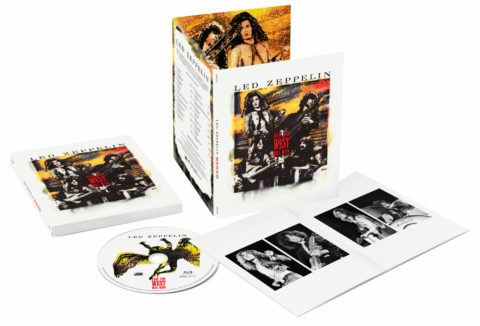 Led Zeppelin must have a ‘Bryan Ferry‘-type deal with Warners, since like the imminent Roxy Music super deluxe – and as with previous Led Zep box sets – the super deluxe edition is bloody expensive. £129 right now, to be precise. And for that you don’t even get a blu-ray audio (just a DVD). On the positive side, the label have made a blu-ray audio with surround sound available separately, which means you don’t have to buy the box to get the 5.1 mix. Incidentally, the link for the blu-ray via Amazon UK is here (it’s not showing up on the widget yet, due to an Amazon-related technical gremlin). 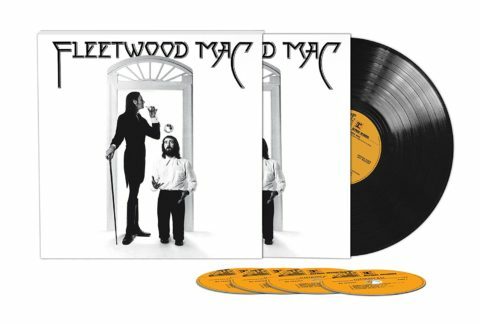 The reissue of Fleetwood Mac’s 1975 album entered the UK album charts at number 53, which isn’t bad, although that equates to a modest 1, 766 sales. It can’t compete with Fleetwood Mac: The Very Best Of, which even after 525 weeks on the chart is 17 places higher at number 38, or even the self-titled album’s follow-up, Rumours, which is ten places higher at number 45. Once you get past the top 20, the album charts are full of greatest hits. Leo Sayer’s The Gold Collection is proving popular. It entered last week at 27 and drops only a few places to number 33. No doubt the £5 price-tag helps and of course the good thing about being the the top 40 is that your album should be on the shelves of various supermarkets. Elsewhere Tears For Fears Rule The World is still doing solid business (#50), although after 11 weeks it still hasn’t been certified silver yet (60,000 sales). The Prince 4EVER compilation is a re-entry at 56, possibly because the vinyl edition was very cheap on Amazon in the last seven days, as highlight by SDE’s Vinyl Deals post (it’s back to normal, now). In the last few days we’ve had the death of The Fall legend Mark E. Smith. 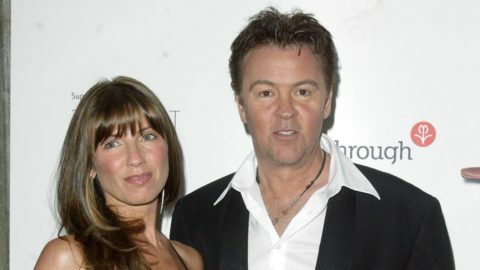 More sad news to sign off with this week, as Paul Young‘s wife Stacey died yesterday after a two year battle with brain cancer. She was only 52. Paul met Stacey way back, on the video shoot for his 1983 single Come Back And Stay and despite a period of separation that were reconciled. As some of you will know, I worked with Paul on a couple of reissue projects, so my deepest condolences go out to him and the family. So, Paul, what’s the addendum Zep announcement amount to? Did Page work with SW on the sly to produce 5.1 booksets or the like? Or do it all by himself? More concert RM’d RE-re’s? I was so ‘hot under the collar’ about the “FM ‘75” 5.1 audio F/U, I overlooked your Zep, addendum post. Do you have any other insight, my friend? Btw, I wrote a whole sympathetic piece to post here about how I feel for you — that you kinda missed the whole “Zep” thing (if I read that correctly). Maybe I’ll post it sometime. For me, the music and Plant’s sexual intensity via lyrics and stage presence informed my youth and then some. Seeing them LIVE with my brother was kinda like a rites-of-passage, pilgrimage of sorts! I’m not sure what’s in the planning for later this year… you are right I missed the whole Zep thing, first time around (not quite old enough and no older siblings). Not sure what is going on but I have placed a holding order in case it is legit, but it seems so odd, no picture and the blurb looks as though it was written by a non-english speaker or a teenager……..
Just turned up, they honoured the £3.79 price. result. Terrible news about Paul Young, very sad start to 2018. BTW, has Esoteric/Cherry Red ever provided another packaging option for a big release AFTER the fact? Any precedent for them realizing that they missed a packaging opportunity and fixing that mistake AFTER the release of other packaging choices? Just wondering if I should wait for the opportunity to buy FOOW without the vinyl, or if that is truly a lost cause. This year is starting badly for people leaving us. I hope it’s not another 2016….. Apologies for the double post but more sad news this week, a beautiful lady with a terrific voice, Lari White also died this week, also at 52. I knew her for a fabulous duet with Hal Ketchum “That’s how you know – when you’re in love” and “Now I know”. I saw her in Nashville in 1995 and she was just lovely. oh crap, so sorry to hear of the death of Stacey Young. Paul is about the nicest bloke you could ever hope to meet. My thoughts are with him at this awful time.